Why Are Outdoor LED Displays In Vogue? LED Screens have revolutionized the scope of advertising and marketing. It is becoming a craze for business developers because of its multifaceted uses and benefits. It broadens the customer base of the company and is very simple to use. A wireless or cable connection is all that you need to set up a high-quality visual. 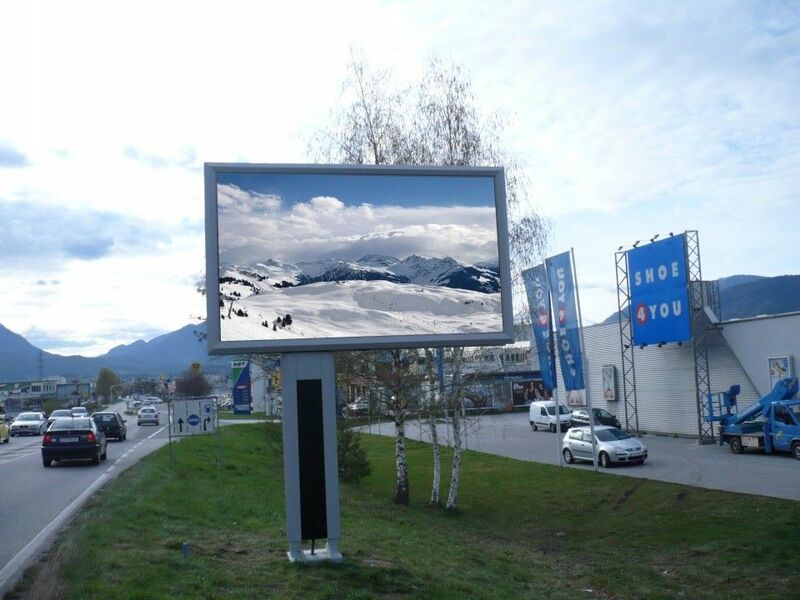 Outdoor LED Screens can withstand all kinds of weather conditions. They can be adjusted & updated with simple computing mechanisms. They can support the latest content and impact consumers with its diverse results. Short adverts with a professional display are bound to attract customers. Sales, weddings, product launches or news adverts – Anything is possible with LED Displays. The Panel Brightness must be able to adapt to several conditions. Large Outdoor LED Screen consumes very less power in terms of backlighting. Matte displays are the most preferred options for outdoor advertising events because they are not affected by glaring lights. The outdoor casing should be waterproof and durable. Creating an array of videos based on the dynamism of the space is essential. It will engage audience both emotionally and professionally. Bigger video walls should be used in classrooms, stores or baggage counters. However, in salons, pharmacies, and smaller areas, screens should not consume a lot of space. The individual pixels are often visible in these cases and it ruins the overall effect. We all know that Large Outdoor LED Screen is very effective as scoreboards, trailer advertisements or for displaying traffic signals near schools. It targets the right audience and exacts the message. They should be carefully protected from contact with solid objects. You must not compromise on the best hardware available in the market. Hire an expert to guide you if the optimal internal temperature fails to function accurately. Ward off unwanted damage by supervising and monitoring screen health and performance. The usage and installation must not hamper your IT Security. It is important for Outdoor Screens to have a static signage. The structure should be able to handle several display formats. The investment should be right within your specified budget. The products should come with a warranty and must possess the correct level of digital contrast. Wide visible angle, stable operations, long lifespan and advanced display quality should be incorporated. They should meet global standards. Customer value and brand value is thoroughly highlighted with strong innervations.